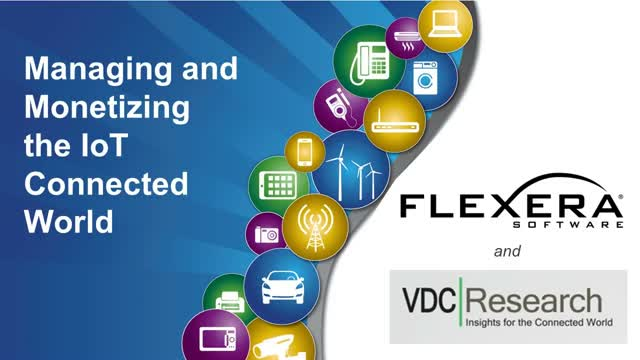 Hear VDC Research and Flexera Software as they share insights and best practices about the evolution of embedded software and recommendations for monetizing IoT connected devices. The proliferation of connected devices and the business solutions made possible with software present a wide array of opportunities for device manufacturers to monetize and leverage the Internet of Things (IoT). Increasingly, device manufacturers are using embedded software to open up new markets and value-added services. A strategic IoT solution leverages embedded software licensing to unlock new revenue streams, protect intellectual property and implement configure-to-order manufacturing processes that reduce inventory. It also utilizes entitlement management solutions to streamline fulfillment, protect maintenance revenues, implement new revenue models and establish direct relationships with customers.